Its formula offers global resistance to all the signs of aging, helping to gradually reduce and fill fine lines and wrinkles. With SPF 15. 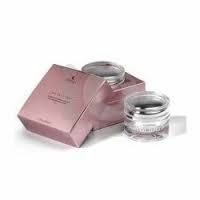 Diminishes the average length and depth of wrinkles, and reduces the overall number of lines. Skin is softer and smoother and has an improved feel. A revitalizing concentrate made up of Phytosan, Artemia salina extract, an anti-oxidizing complex, ceramides, malt extract and Ambre Océane. Apply morning and/or night to perfectly cleansed face, neck and décolletage with a gentle massaging action until the product is completely absorbed.